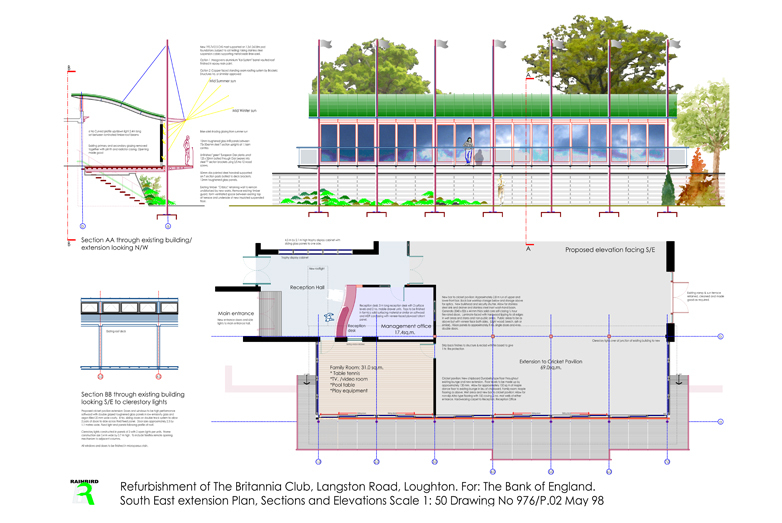 The existing sports and leisure club is adjacent to the existing cricket ground on an elevated site approximately 2.5 m higher than the crease. The existing building was constructed in the 1960s using a steel frame and flat roof with brick and timber cladding. 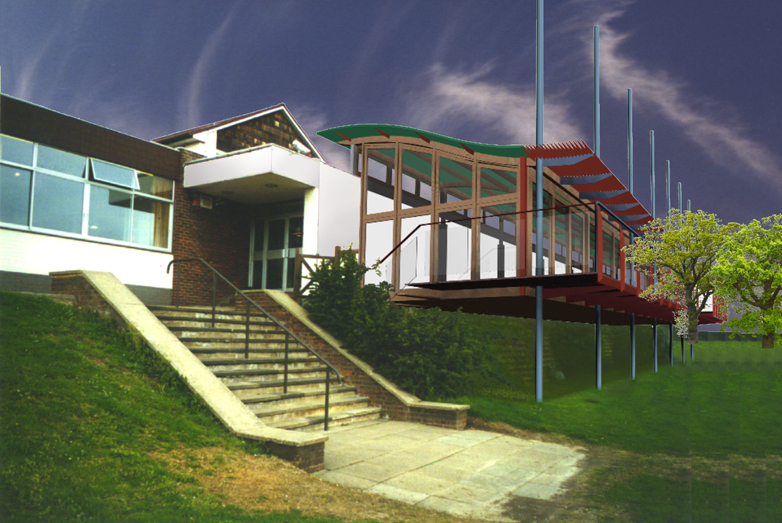 The brief called for a new cricket pavilion style building with a fully glazed facade overlooking the green and additional facilities. The brief also required the upgrading of the existing bar and lounges. 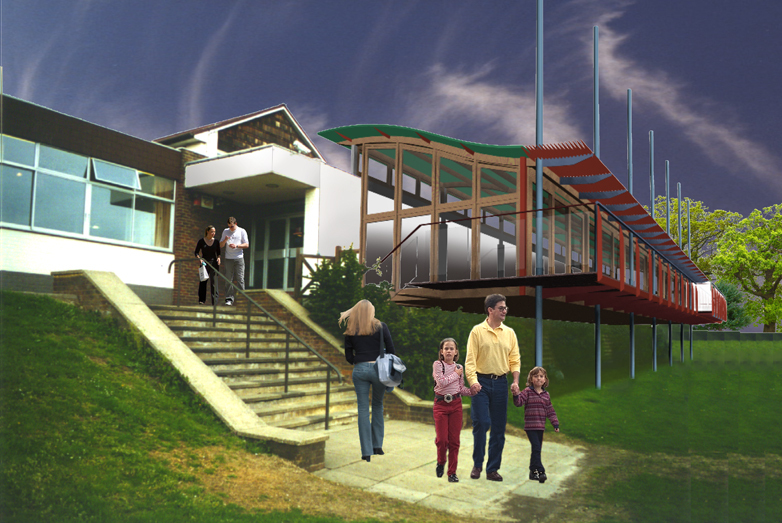 The proposed scheme was a timber deck supported on masts set at the same level as the existing building but fully glazed and with a wide balcony overlooking the cricket green. The scheme was conceived to enable long views, even while seated at the back of the lounge. The design utilises passive solar gain from the large glazed screen windows in the winter while providing deep brise soleil solar shading in the summer, whilst high-level clearstory windows allow the space to be ventilated in the summer. The sliding screens leading out onto the balcony can be fully rolled back to create a large open deck in the summer months. The balcony also provides shading and cover to cricketers during showers. The scheme is designed to have a barrel vaulted, standing seam copper roof to reflect the finish on the adjacent Bank of England printing works. The steel masts which support the whole building are tied together with stainless steel tie rods to stabilise structure and provide uninhibited internal space.